Mr. Bear decided to visit his family. They live hundreds of kilometres away. That’s why he decided to go by plane. He passed by many cities and villages. Look up to the sky... Maybe he is just above you right now! 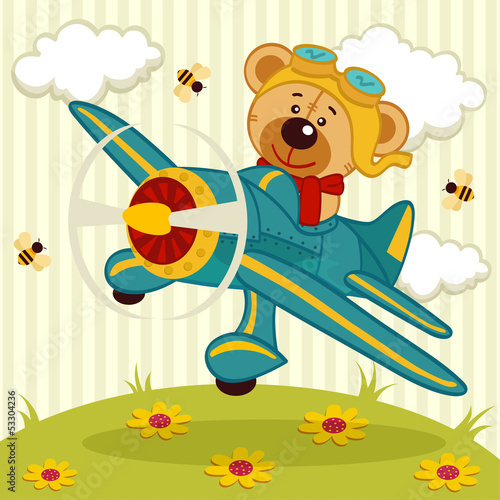 The photo wallpaper with a happy bear will be a perfect complement of your child’s room.